In ESTILA Vol7. 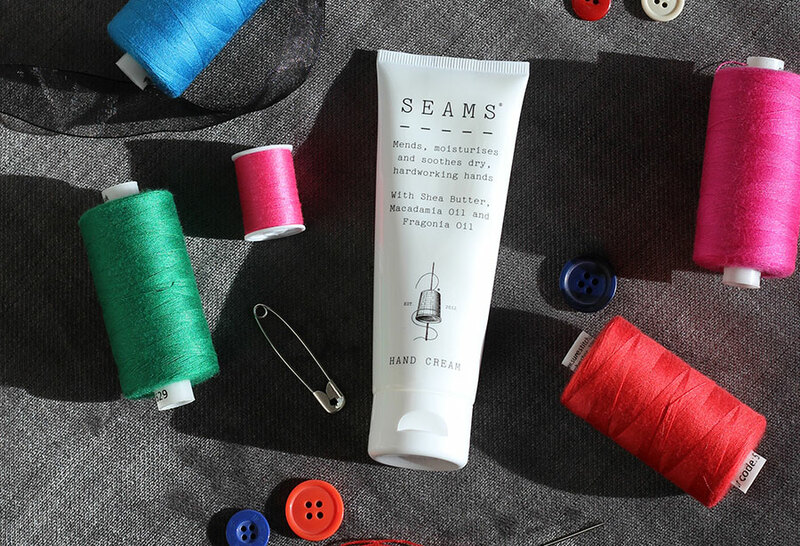 we featured an interview with Karen J. Gerrard, the founder of SEAMS, which is a skincare brand passionate about your skin and particularly hands. Talking to Karen further and realising how much knowledge she has, today she’s sharing her tips on what to avoid in terms of skincare. There are prons and cons to everything in life and the same applies to our skincare. For example, a totally organic product can go out of date within 3 months and loose its effectiveness. Whilst chemical preservatives will keep your product fresh for at least 12 months and that’s certainly better on the purse. It’s a pain but always read the small print on the packaging. In particular, check for a certified stamp if it’s organic, the shelf life date from opening and the ingredients which are listed in order of highest percentage first. Products applied to our skin enter our bodies so organic is certainly the healthy option, then again chemical preservatives prevent the growth of harmful bacteria – great you are thinking but there is a big but they also can be the cause of health problems! Confused! Read my tips on what to look out for. Parabens: A definite no no – most companies now will be proud to be Paraben Free as although they keep out harmful bacteria, but they have been shown to mimic oestrogen, which can cause breast cancer and reproductive issues. Phthalates: Promote soft skin but they can have a harmful effect on hormones and can hinder development. Salicylic Acid: Used as a treatment for acne has been known to dry out the skin. Sulphates: Perfect in soap to help remove dirt from the skin but they can irritate the skin and eyes. Benzoyl Peroxide: Another one used as a treatment for acne, but possibly will dry the skin leading to redness and peeling. Synthetic Fragrance: We all like to drown ourselves in a beautiful scent but the downside is they can headaches and respiratory problems. Retinol: Full of vitamin A to help reduce the signs of ageing, must be used sparingly as retinol can be toxic and damage our DNA. So onto Organic – there’s a great choice of natural preservatives now being used, but they may not stave off the most harmful bacteria! Vitamin E: Is a powerful antioxidant, moisturiser and good for eczema but its quite heavy and can cause breakouts. Grapefruit Seed Extract: Is a harmless natural preservative and will help protect from bacterial infection. Sugar: Coarse so its great to exfoliate but don’t use it every day as it can break down collagen and elastin. Rosemary Oil Extract: Used since ancient times, smells divine, will prevent odour, protects the skin from damage and is a natural antiseptic. Sorbic Acid: Protects against mold and bacteria and is known to only occasionally cause a mild irritation. Apple Cider Vinegar: This healthy ingredient is mainly used in cleansing products to balance out the PH level in our skin, but in large quantities the acetic acid can give a burning sensation to sensitive skin. WATER – the best you can give your body drink at least a litre a day, to clear out bacteria, hydrate and plump the skin. Slight downside used in a product it will encourage bacteria growth, but a good preservative will take care of that! Hope that helps! As I said at the start there are pros and cons in everything but as most of these ingredients are used in small quantities the pluses can out weigh the minuses, used correctly they will lead you onto to clear skin and healthy body. Preserve your skin and preserve your products.